Through private sponsorship, Canadians across the country are working together to help refugees transition into new jobs and new lives. 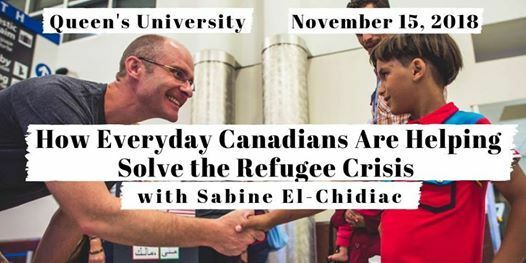 Sabine El-Chidiac will speak about what lessons we can learn based on the experiences of refugees and the data we’re collecting about their new lives in Canada. 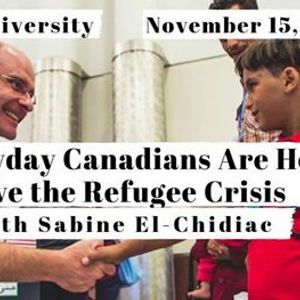 This talk will outline the positive impacts of civil society on immigration, and will discuss what can be done to strengthen the system of private sponsorship in Canada. Sabine El-Chidiac is the Educational Programs Manager at the Institute for Liberal Studies. She holds a B.A. in Political Science from the University of Toronto and an M.A. in Political Science from the University of Western Ontario. After graduating, she went on to advise Canadian federal Ministers on policy issues relating to citizenship and immigration for over four years, and continues to write and speak about immigration policy. 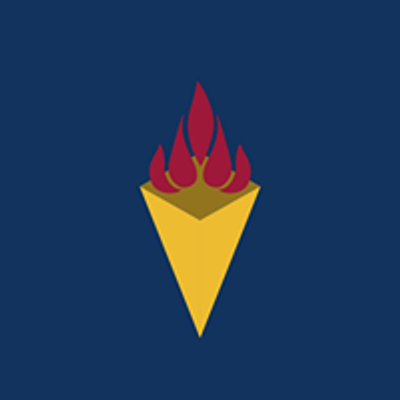 This event is co-hosted by Queen's Students for Liberty and the Institute for Liberal Studies, and it is free and open to the public! It will take place in Dunning Hall, Room 27.